I love going to the cinema. My first Loving Leeds Blog post was about the Showcase cinema at Birstall retail park, and what it was like after its big refurbishment, so it was nice to be invited to another cinema that has recently undergone a major revamp. 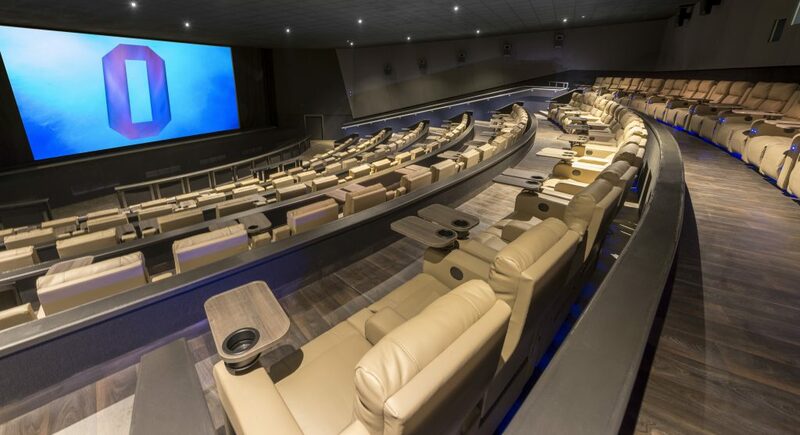 The ODEON Luxe Leeds Bradford has just re-opened with 13 upgraded screens and boasts “a new state-of-the-art iSense screen with 4K projection and Dolby ATMOS sound”. I went with my cinema buddy Chloe to check it out. The intention was to see Murder on the Orient Express but it wasn’t on at a convenient time so we ended up watching A Bad Mom’s Christmas instead – don’t judge. Just like Leeds Bradford airport, the cinema is in a kind of weird limbo area. It’s located in Gallagher Leisure park which is actually in between Leeds and Bradford, but hey – Leeds is in the title so I’m featuring it on the blog! Next to the cinema there’s a large Aagrah restaurant, so you could combine seeing a film with having a meal out and make an evening of it. Going to the cinema is no longer just about watching a film. With the rise of Netflix and Amazon Prime etc, cinemas need to offer more to coax viewers out of the house. ODEON Luxe offers some stylish extras; the addition of “Luxe” to the name indicates that it’s become more than just your average cinema. 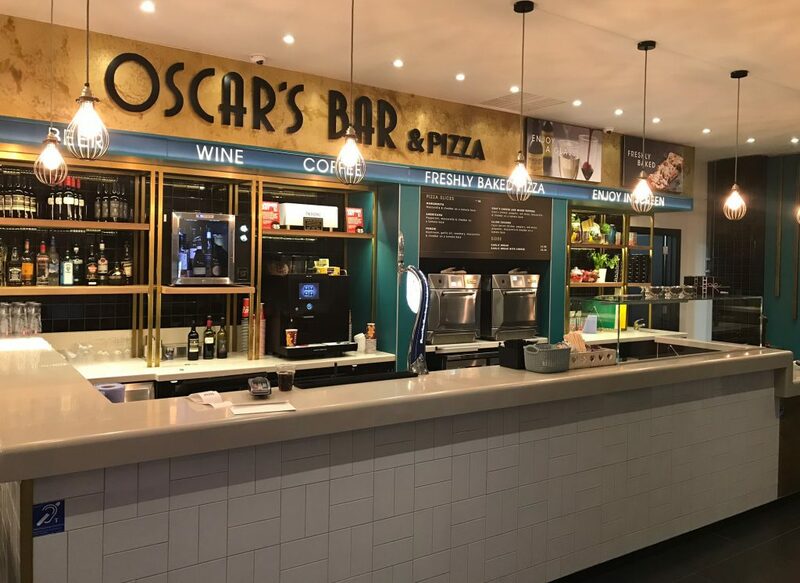 You can get a freshly-cooked pizza from their Oscar’s Bar, which you can take in with you, as well as a selection of alcoholic and non-alcoholic drinks. And in addition to the usual popcorn, cinema goers can also get nachos, fries and hot dogs. The serving area looks a bit like a futuristic candy land as not only is there a pick and mix station, but there’s also an ice blast machine, coffee machine and a Coca Cola “freestyle machine” where you can choose from over 100 different flavours – something for the kids to get excited about! You then go upstairs to the screens. Each auditorium has reclining seats – they’re a cut above the ones at the Showcase however as there are gaps in between each seat, giving you more personal space. There’s plenty of leg room and there’s also tray tables for each seat, so no more squabbling over who gets the cup holder. There are plenty of various promotions and offers on. Visit the website for more information and to see what’s showing. I think 2017’s been a pretty dismal year for films (other than Baby Driver and the superhero films) but December’s looking pretty good. I’m hoping to see Paddington 2, Murder on the Orient Express, Battle of the Sexes and Star Wars: The Last Jedi. The ODEON Luxe Leeds Bradford will be a great place to enjoy watching them.